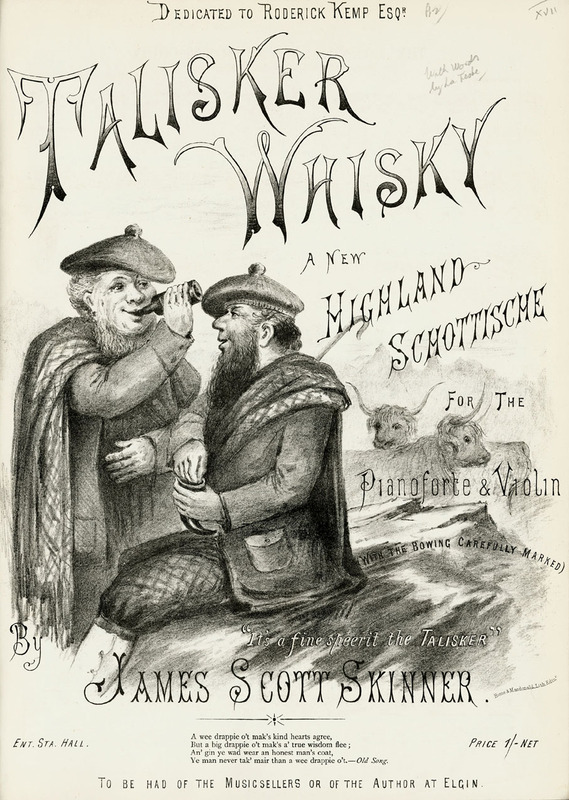 Item Description This image of two bearded, bonneted and plaided Highlanders drinking from a bottle, taking snuff, with Highland cattle in the background, seems like an almost music-hall caricature of the Highlands. However, it was merely seen as a humourous image in the late nineteenth century. Between them, through music and image, Skinner and the lithographers have turned this into a fine advert for Talisker whisky!